I have previouly made available a Bullet Journal insert for the Midori Traveler's Notebook. First described by Ryder Carroll at www.bulletjournal.com, the Bullet Journal is an effective system for organising the notes you make in your daily notebook. 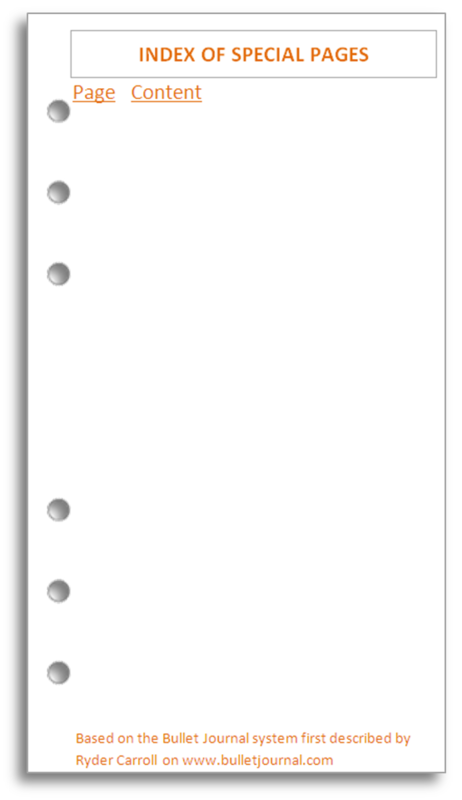 Today I am offering for free Filofax inserts designed to make it easy to use Bullet Journalling in your personal size Filofax. 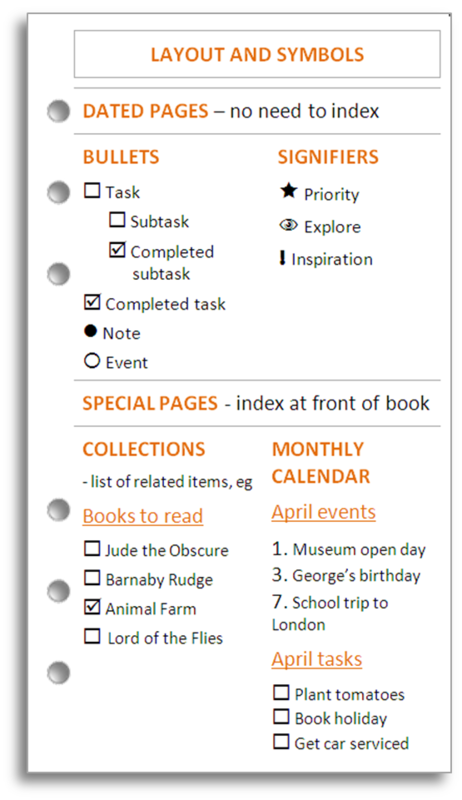 The main page provides a grid layout on which to record your items and their associated planning symbols. This page is double-sided and you should print a generous number when you start using the system. At the top of each page is a box for your to record the date or the special purpose of the page (e.g. monthly task list) and the page number if you are using an indexed numbering system. This page provides a key to the standard symbols used in Bullet Journalling and gives space on the reverse side for you to set your own, custom symbols. 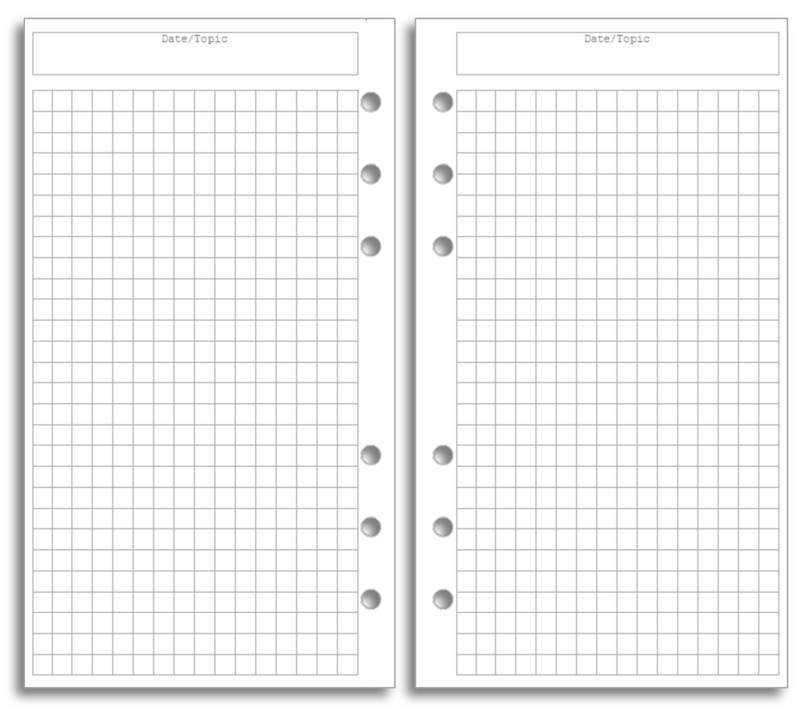 You can download these inserts as A4 documents or as Letter paper documents, in either Microsoft Word or PDF format. Print the files double-sided. If you have a duplex printer, set it to flip on the short edge. If you don't then you'll have to print and then refeed to print on the reverse. You might have to experiment to find out how to refeed the paper.